Have you heard of the latest doodling-like craze, Zentangle? It’s a structured procedure of relaxation by drawing patterns. I recently went to a program my local public library offered and immediately began thinking of how I could apply this to my classroom. I am faced with having several students who have ADD/ADHD this year in addition to learning disabilities. I have tried many of my tried-and-true tricks for learning with them, to no avail. After doing a Zentangle myself, I knew I had to try it at school. It was a complete flop! And it was all my fault. I didn’t take into account that my fifth graders cannot create a pattern and that they struggle with fine motor skills (they are ALL getting OT this year!!!). 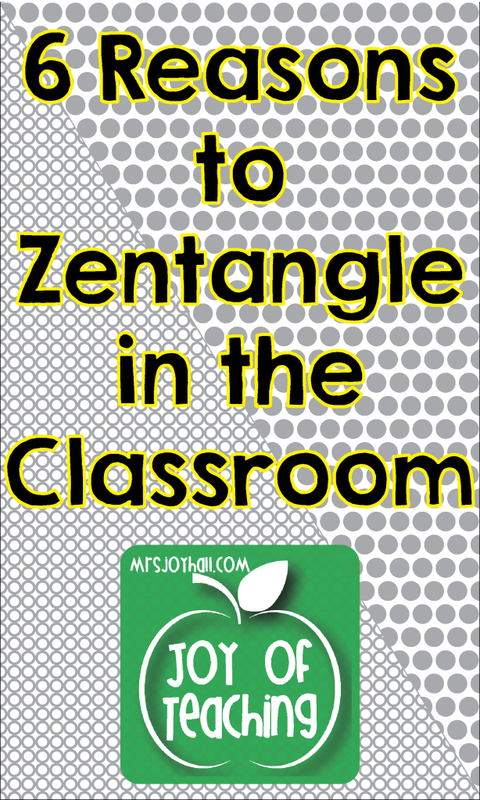 Now I found myself having to modify the Zentangling method to meet the needs of my students. Sigh. Story of my life. I decided that they really needed guidance on what a pattern looks like and should feel like first, so I created some basic patterns inside a single shape for them to trace with a marker, colored pencil, or pen. The first one I gave them had straight horizontal lines (which also helped them practice going from left to right and from top to bottom). They had to be guided to start on one dark line and trace the gray line until they got to the other dark line. They had a difficult time making a continuous line and crossing the midline. But they LOVED it! And I couldn’t believe the focus and concentration. It was amazing. All talking stopped and they were so intent on what they were doing. Incredible! Several years ago I took Zentagle classes, and immediately knew I had to take it to school. I have been teaching this to my 3rd graders for about 4 years now. It is their go to activity when they have free time. It is literally the ONLY time my class is absolutely quiet. I love it. Now I’ve got to check this out! Seems like something my kiddos could get into! 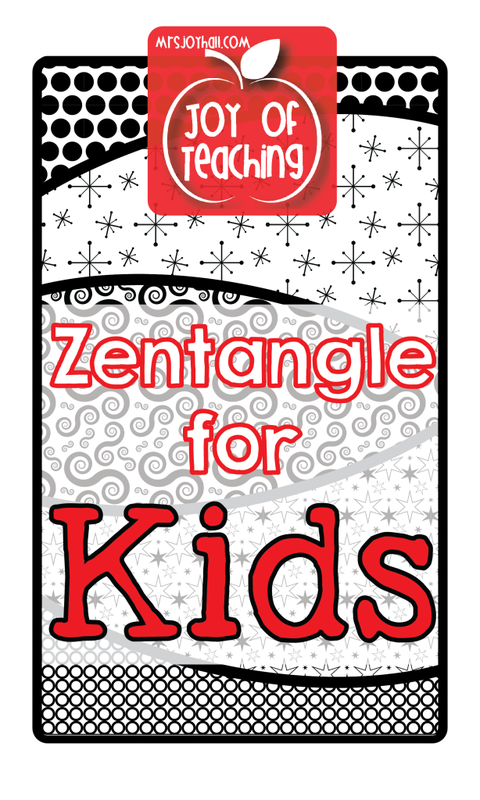 Zentangles sound interesting – I will have to look into it!